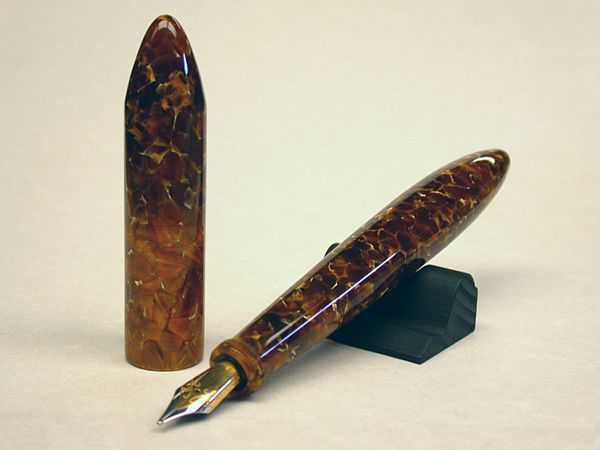 Custom Clipless Nanga Fountain Pen - in CS Amber Italian Acrylic. This is another of the larger MAGNUM Clipless Nanga's. 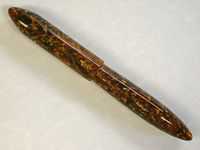 This one is similar to the others and uses one of the colors from the former Conway Stewart Pen Company (see info below). 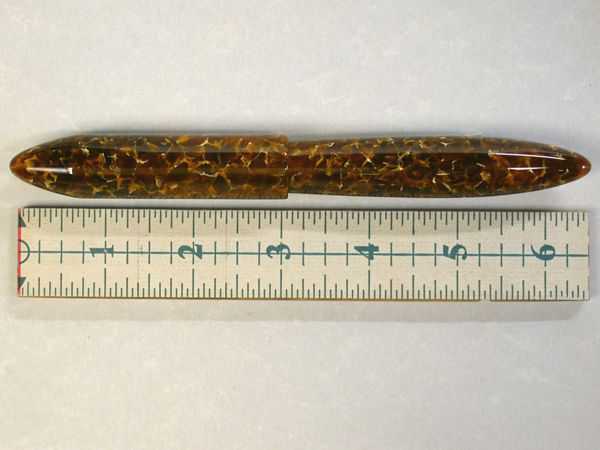 This material is another of the acrylic colors from the former Conway Stewart Pen Company (CS). 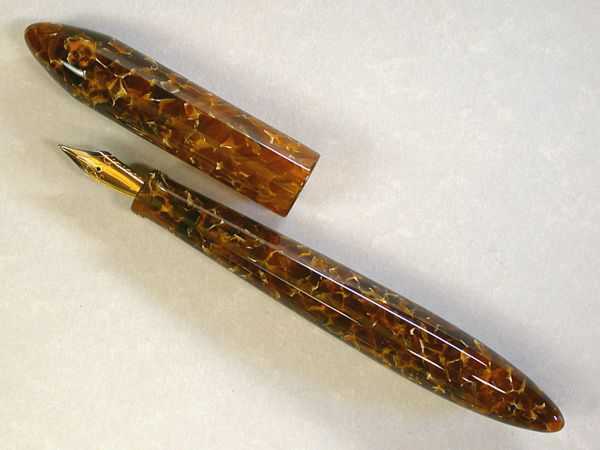 The color is simply called "Amber". The material is NEW, but comes from the original factory in Italy that manufactured the material for CS and they continue to use the original CS formula's. The color and pattern are very striking and as is often the case, the photo's do not do it justice! 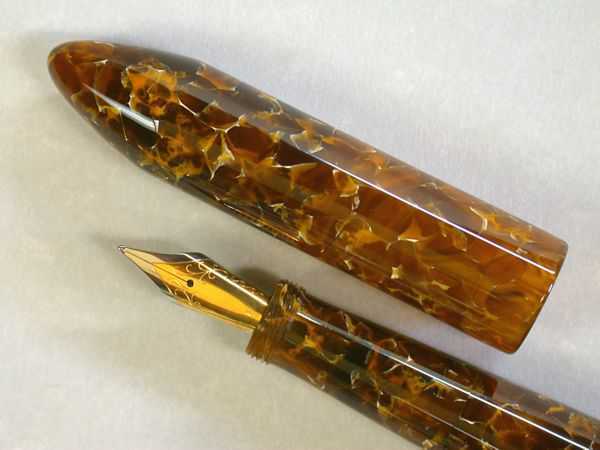 It has a CRACKLE style pattern, with a primary base of Honey Amber color with soft off-white throughout between some of the cracks. It polishes up to a very nice high gloss. Color / Material: CS Amber Italian Acrylic. 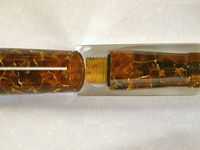 Length - Capped = 6.50" / Uncapped = 5.675" / Cap 3.125". 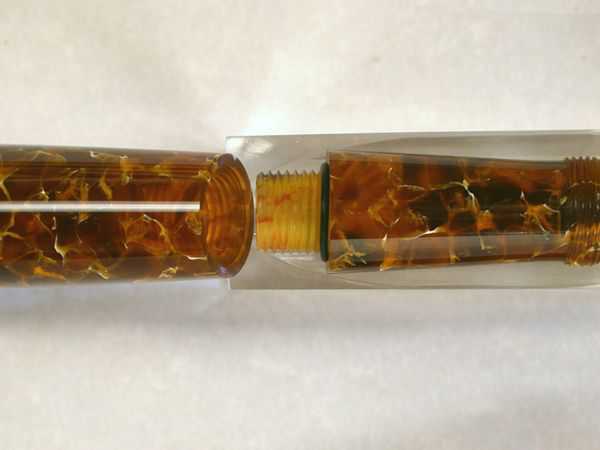 Diameter - Barrel max = .69" / Cap = .73". 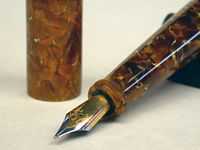 Nib - #6 2-Tome Steel Meister.